The Collection remained on the Community’s premises (modern Town Hall) until 2003, when it was temporarily transferred and stored in two ground-floor halls in the building of the Neapolis High School. 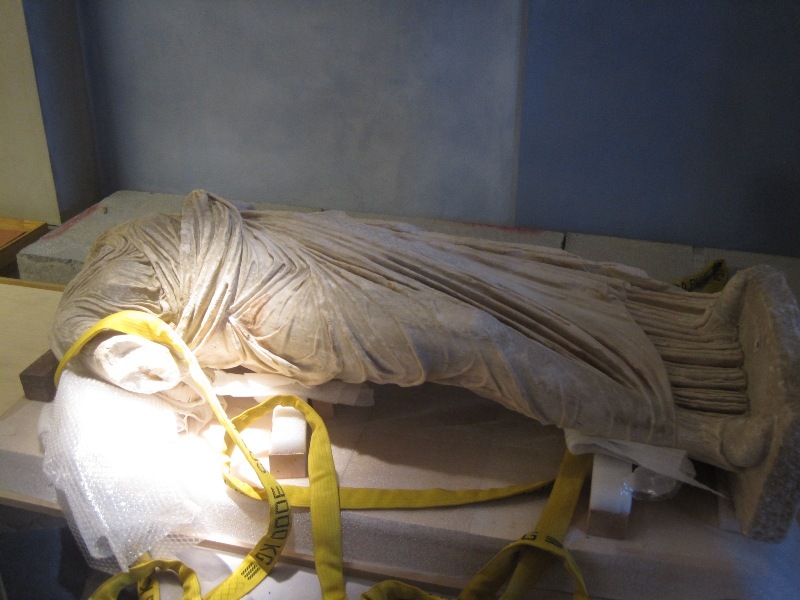 In 2010, the antiquities were moved to the building of the Archaeological Museum. During that same year, the museological concept and the museographic design for the Museum were approved by the Council of Museums. In 2011, the Project “Exhibition of the Archaeological Museum of Neapolis, Voies” became part of the Operational Programme “Western Greece – Peloponnese – Ionian Islands 2007-2013”. 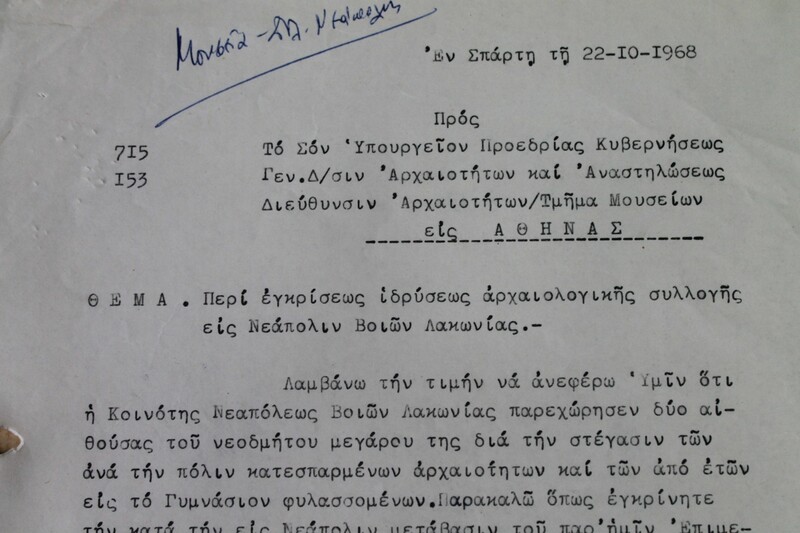 Implementation of the project was initially undertaken by the 5th Ephorate of Prehistoric and Classical Antiquities of Sparta which supervised it until 2014 when the project passed under the supervision of the Ephorate of Antiquities of Lakonia.